The problems with the harvest in Latin America for two consecutive years have made adjustments to the peaceful course of the Russian peanut market – the leaders have changed. In the first half of 2016, the main suppliers of peanuts to Russia were Argentina (25.560 tons) and Brazil (16.539 tons), leaving behind the competition – India (1.913 tons) and China (1.093 tons). In 2017, the situation is reversed, with India with an incredible growth of 28,251 tons, followed by Argentina with 40% less of the market – 16.341 tons, and Brazil with 20% less – 13.508 tons. China occupies the fourth line, but with obvious success – shipments to Russia in the first half of 2017 increased from 5 to 5.921 tons. In general, the total peanuts import to Russia increased 34%: 67.570 tons in the first half of this year against 48.571 tons the previous year. As a result, the majority of traders have overstock in their warehouses, and exporters start to stop the shipments. According to market players, the situation will take several months to normalize. In addition to large imports, consumption of snacks in Russia has decreased markedly, the reason is simple – a cold summer. 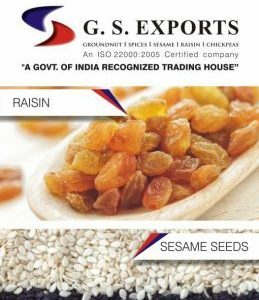 India, the main supplier of sesame seed to Russia, is increasing volumes. As a result, for the first half of 2017 – monthly growth 54% in compared to last year, 6.623 against 4.314 tons. The last month we hear about the rise in prices from exporters, the reason is unfavorable weather conditions in India, so we should expect prices to rise in the domestic market. Russia import pumpkin seeds from China. The volume of supplies increases year after year – for the first half of 2017, Russia imported 3.616 tons of Chinese pumpkin seeds versus 2.545 tons in 2016. Perhaps, the increase is due to the current situation in China with the overproduction of seeds and, as a result, low prices. This year, Chinese farmers planned to reduce pumpkin crops, let’s see how this will affect the Russian market in the new season. The unstable situation in Vietnam, problems to get raw materials for processing remained in the past, now the market stabilized and the price go down. However, the turbulence of the world market of peeled cashew nuts also touched the Russian market. In the first quarter of 2017, shipments from Vietnam decreased by 20% – 678 tons against 855 tons in 2016. But in the second quarter, mainly in May and June, we note an increase of 30% – 1.100 tons against 843 tons over the same period in last season. The second quarter affected the first half of the year as a whole, as a result – 2.081 tons and plus 20% compared to the year before. The mood in the Russian market of walnuts is set by Chile. Last season was unfavorable for Chilean producers – they lost 40% of the crop. The result, imports to Russia in the first half of 2017 fell 38% to 139 tons, compared with 223 tons in the previous year. However, with the arrival of a new crop in April 2017, the supply of walnut to Russia in the second quarter increased by 64% – 164 tons against 100 tons in the same period of the previous year. The last year Iran becomes the main supplier of raisins to the Russian market, leaving in second place Afghanistan which used to be the main supplier. The import of Afghan raisins in the first half of 2017 was only 569 tons, compared to 3.402 tons the year before. According to local producers, the main reason for failures in the world market is obsolete equipment and the absence of modern laboratories to control the quality of processed raisins. Complain about the decline in exports to Russia these years, in first place Chile which exports 40% less against the previous year, and also India 42% less in compared to the first half of 2016. The leader of the direction in the first half of 2017, as well as the year before, was Iran – 7.993 tons and 61%. Turkey is following – 1.069 tons against 670 tons, and Uzbekistan, which not only has overtaken Afghanistan by quantity of deliveries, but also doubled the volumes – from 322 tons in the first half of 2016 to 706 tons in 2017. Imports of dried apricots to Russia in the first half of 2017 increased by 13% compared to the same period last year – 2.776 tons against 2.452 tons. Moreover, the semi-annual growth is due to the growth of supplies in the second quarter, although summer is traditionally low season for the dried fruit market. Probably, the cause of the changes was the unstable relations between Russia and Turkey last year. However, still Turkey was able to keep the leadership with 90% share in the Russian dried apricots import. So, in the first half of this year, the volume of imports of dried apricots to Russia increased by 19% to 2.458 tons. Suppliers from Uzbekistan increased 15% – from 15 tons in 2016 to 222 tons in 2017. Tajikistan, once was the main supplier of dried apricots to Russia (with a market share of 49% in 2014 – editorial comment) today delivers only 97 tons against 50 tons last year. The reason is that Russian manufacturers prefer a more expensive Turkish product with a long life. Almond is the absolute leader of world trade, with a manufacturing center in the USA. American almonds are not available to Russian consumers since August 2014, which had a significant impact on the industry, which ended in a crisis. However, new suppliers appeared, volumes were replenished. Of course, the volumes achieved are not the previous ones, but for the first half of 2017, the volume of imports increased by a total of 34% – 1.467 tons against 1.094 tons in 2014. 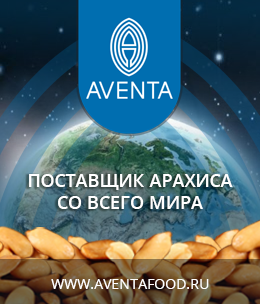 For the Russian market of almonds, which worked in the previous two years in the red, a real success? Among the exporting countries, today China leads – 937 tons in the first half of 2017 and plus 85%. The production of almonds in China is growing, thanks to the expansion of production facilities in Xinjiang. In second place Chile – 230 tons and minus 45%. Deliveries of almonds from Turkey increased the double, from 50 tons in January-June 2016 to 178 tons in 2017. Iran is the main supplier of pistachio to Russia, one of the two major world producers. And if two years ago the resources were barely enough to fill the missing 50% of the market, today we see 21% growth – 1.101 tons in the first half of 2017 versus 1.074 tons in 2016. The volume of supplies of hazelnut to Russia declined by 20% in May-June 2017 compared to 2016, but this did not affect half-year imports. The result is 3.824 tons and plus 20%. Azerbaijan is the main supplier of hazelnut, but in the first half of 2017 lost 2% – 1.988 tons against 2.019 tons in the previous year. In the second position is Turkey (880 tons) and Georgia (955 tons) – showed 60% growth. The main supplier to the Russian market is Moldova. In the first half of 2017 Moldova broke out – 2.636 tons against 1.264 tons last year. Plus 110% and an unprecedented success. Chile follows by 2 441 tons and plus 27%. However, the struggle of the hemispheres is noticeable both in successes and in defeats. Argentina for the first 6 months of this year lost 43% of the Russian market – 1.126 tons against 1.975 tons a year before. Suppliers of Serbian prunes decreased by 16%, from 287 tons in 2016 to 240 tons in 2017. In addition, Uzbekistan is actively increasing the volumes, as a result, in the first half of 2017 increased almost 10-fold to 347 tons, leaving behind Serbia. The total result for the first 6 months of the current year is 6.801 tons and plus 23%. Imports of candied fruit to Russia in the beginning of 2017 increased by 60% – 7.560 tons against 4.792 tons a year before. The leader of these products is Thailand, which year after year increased the volume of supplies to the Russian market by almost half – from 2.148 tons in 2016 to 4.150 tons in 2017. However, this year all the main producing countries of candied fruit showed a significant increase in exports to Russia. In addition, the volumes increased monthly, compared with 2016.